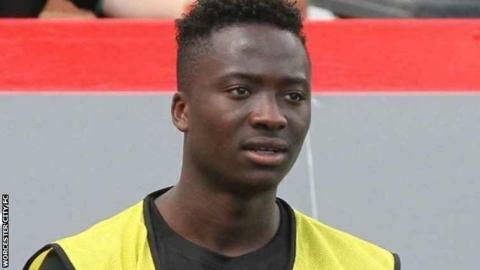 Crewe Alexandra have signed teenage striker Daniel Udoh from non-league side Ilkeston for an undisclosed fee. Udoh, 19, who had been on the League One club's scouting radar for some weeks, has signed a two-year-deal tying him to Gresty Road until June 2018. The former Stevenage academy product has also spent time at Kidderminster Harriers, Worcester City, Wingate & Finchley and Grays Athletic. He has been handed a squad number for the remainder of the season. It puts him in line to make his Crewe debut during their two-game Easter programme, starting with this Friday's trip to Sheffield United.